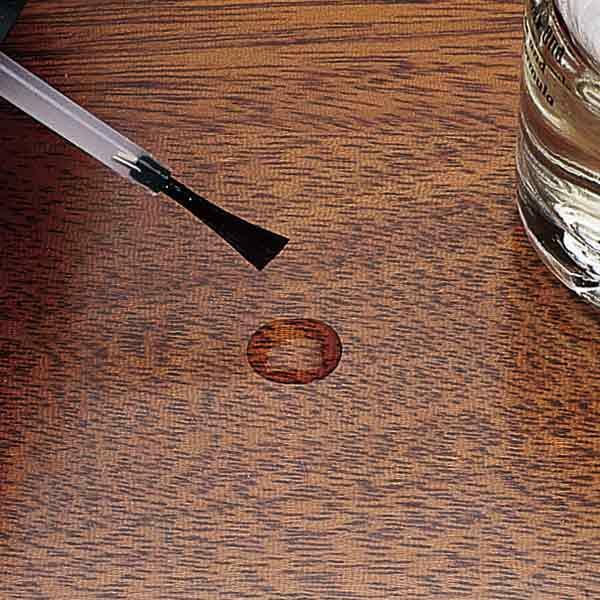 Rub on a coat of scratch cover, a pigmented furniture polish. 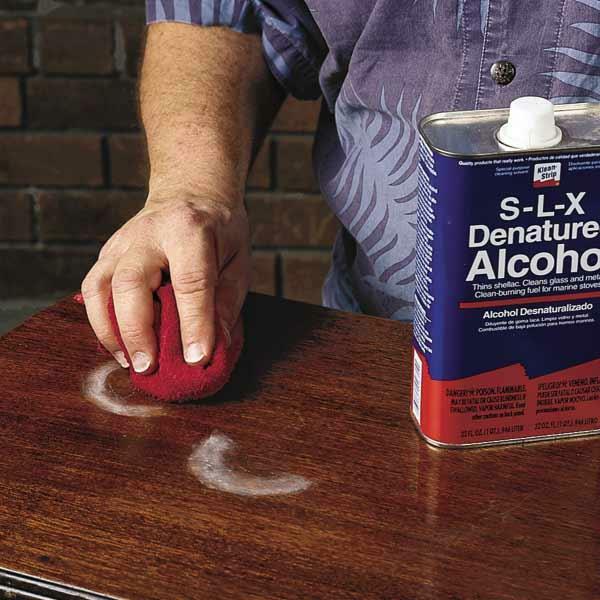 Applied with a clean rag, just like regular furniture polish, a single dose is enough to make most damage disappear. dull the finish. 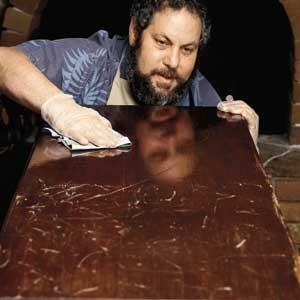 If that happens, restore a satin sheen by rubbing with extra-fine 0000 steel wool and paste wax. 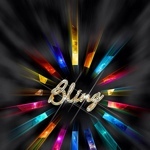 To bring back a gloss finish, use auto polishing compound applied with a rag. To make the repair blend in, go over the damaged area and the entire adjacent surface. use auto polishing compound and a rag.